There are two ways to connect a microphone to a computer. With USB microphones, the microphone is just plugged in and it instantly works. With an XLR microphone, you need the plug the XLR cable into an Audio Interface and that Audio Interface connects to your computer via a USB. The role of an Audio Interface is to supply power and gain to your microphone (or whichever other instruments you put into it) and it also acts as a sound card for your computer to listen from. USB Microphones actually do have a small Audio Interface built inside of them. USB Microphones are more convenient. Often offers better sound quality (but not always). Many Interfaces allow for the addition of a second microphone and/or an electric guitar. You are able to upgrade to a better Interface, whereas with a USB mic, you are stuck with the integrated interface. You can upgrade to a better microphone and use the same Interface, but with a USB microphone, the interface only works with that one microphone. Standalone interfaces often have better pre-amps which allow for more gain with less hiss noise and there’s an option to add a mic activator for more noiseless gain. It depends on what your goals are and what you want to do with your audio equipment in the mid to long term. 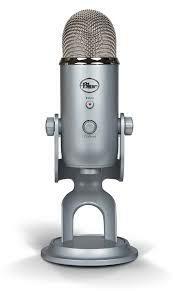 If you just want a microphone of decent quality that is suitable for Skype, Youtube video narration, gaming voice chat and light podcasting, a USB microphone definitely makes sense. They’re a good option for those who want much better sound quality than their generic laptop microphone without spending too much money or time. However, if you plan on using your microphone for professional podcasting, voice acting, singing or instruments, definitely go with the XLR route. If you are seeking to do professional or even semi-professional audiowork, you will need the upgradability. 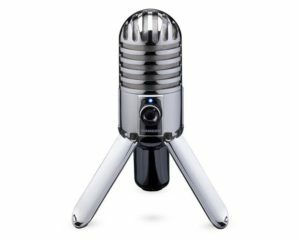 What if your USB microphone works great for podcasting but not great for singing? What if the microphone works well for a male voice but not as well for a female voice? Maybe your USB microphone picks up acoustic guitar well, but what if you want to record drums? That’s where having the freedom to add a different XLR microphone helps down the line. To an extent, the price and the brand. 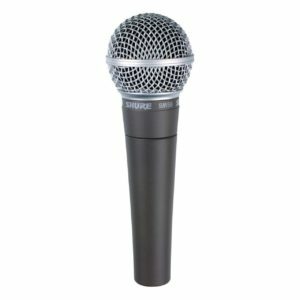 Microphones within the $100-150 price range have more quality control than microphones in the $20-50 range, regardless of whether they’re USB or XLR. Whether the microphone is dynamic (noise-resistant) or condensor (noise-sensitive) is important, depending on your voice and recording environment. Also what frequencies (high pitch or low pitched sounds) it is most sensitive to has a significant impact on the sound.